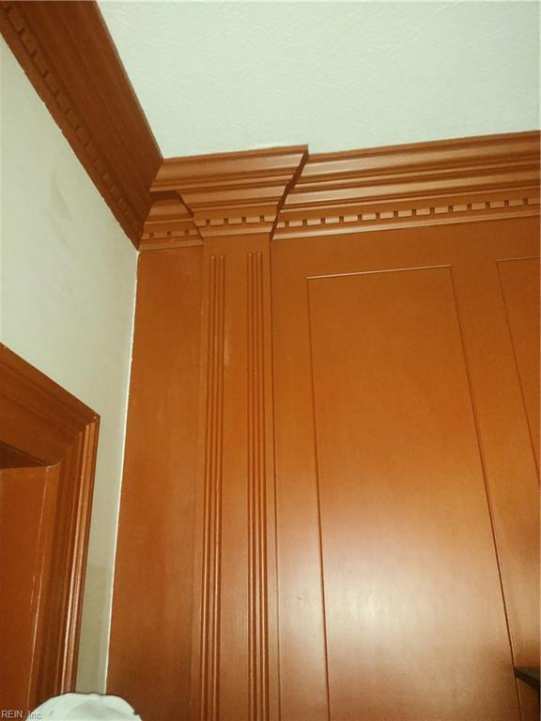 You'll be amazed by this lovely custom home with specialty trim work like you've never seen. 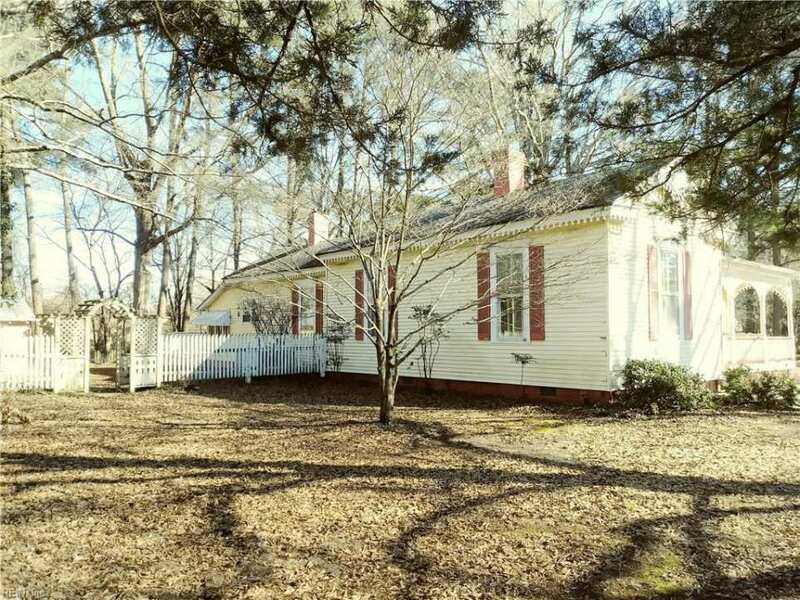 The feeling of old country charm and quality workmanship make this home one of a kind! 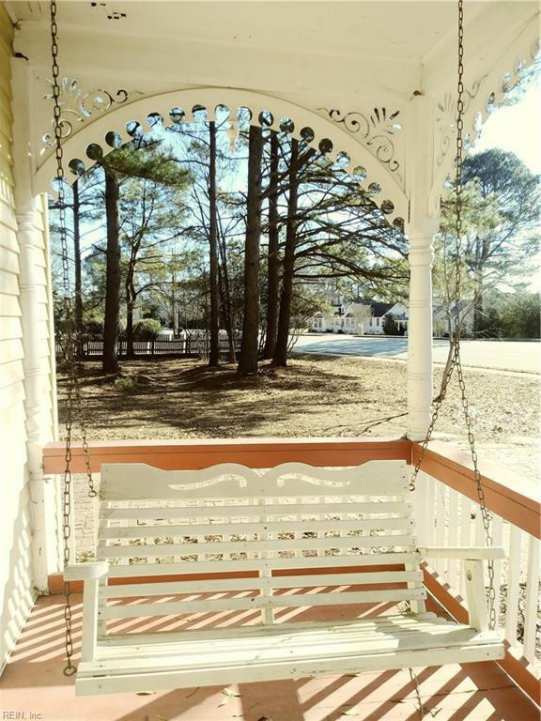 Relax in this serene wooded setting while swinging on your porch swing, or enjoying your back deck. 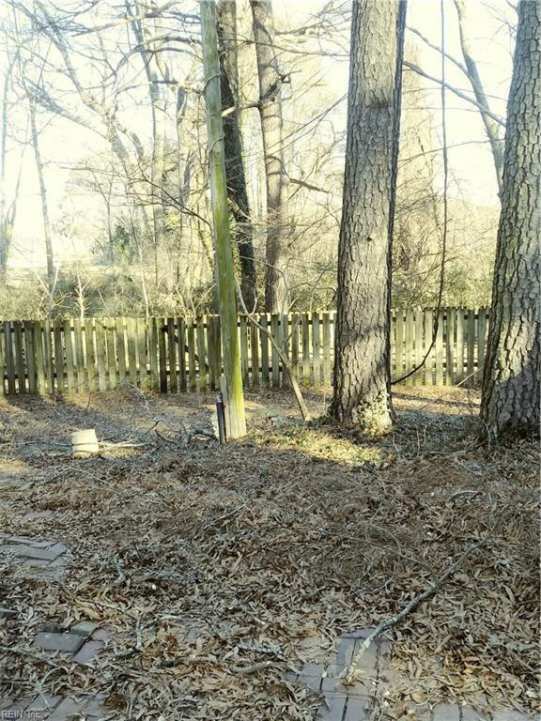 There is a fenced in rear area for children or pets. Lots of storage. 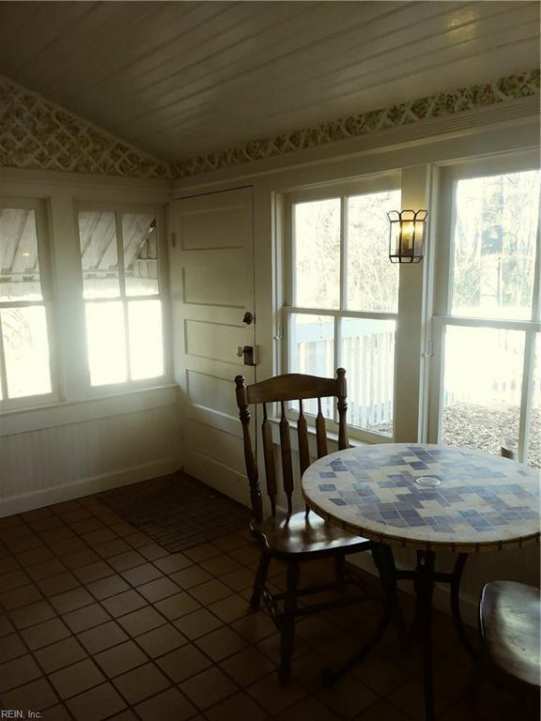 I’m confused about the interior woodwork, it’s much older than the 1904 build date. 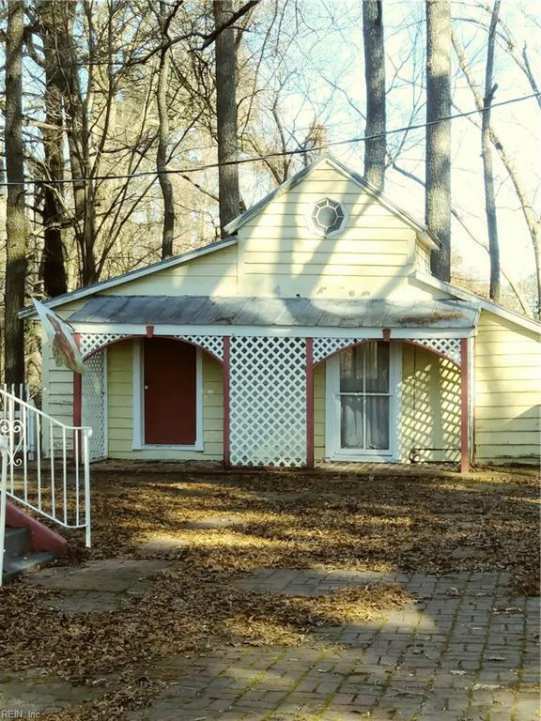 Either it was remodeled to look older or the home is indeed older. The exterior details are great though, might be a fun one to investigate the history of. Ha! I saw that, too. If you look closely, all of the wood has been machine planed and the hinges are all newer, as are the light fixtures. I think it was redone – really well redone. 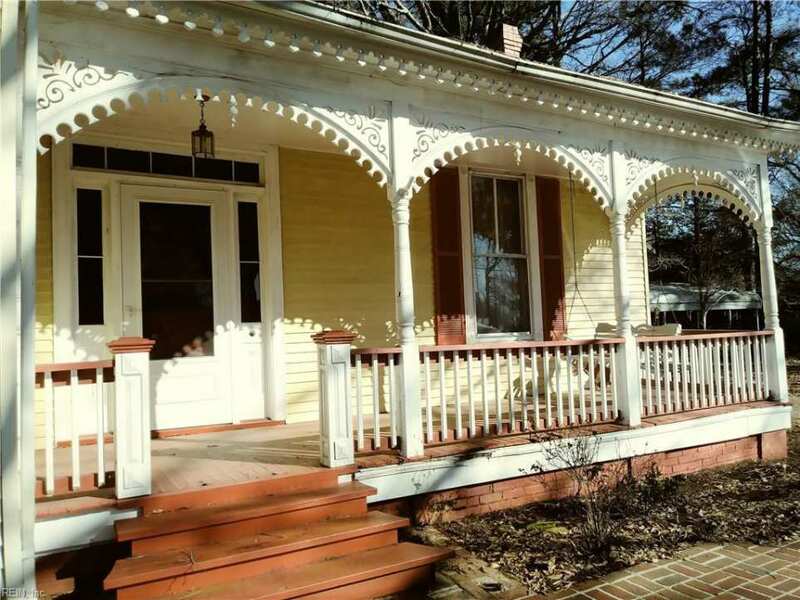 Since it is Virginia could they have used reclaimed wood from an older house to build this one ? 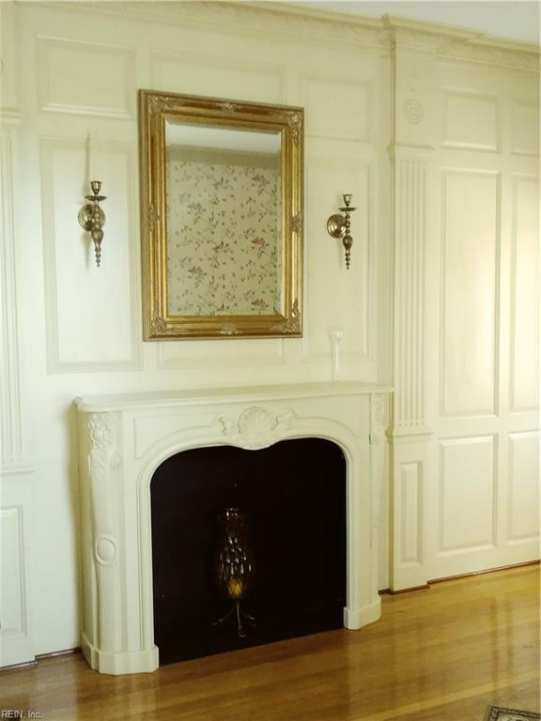 I am newer to all of this but the wood work seems to be a later 1700’s to early 1800’s style ? That is a totally unexpected interior! 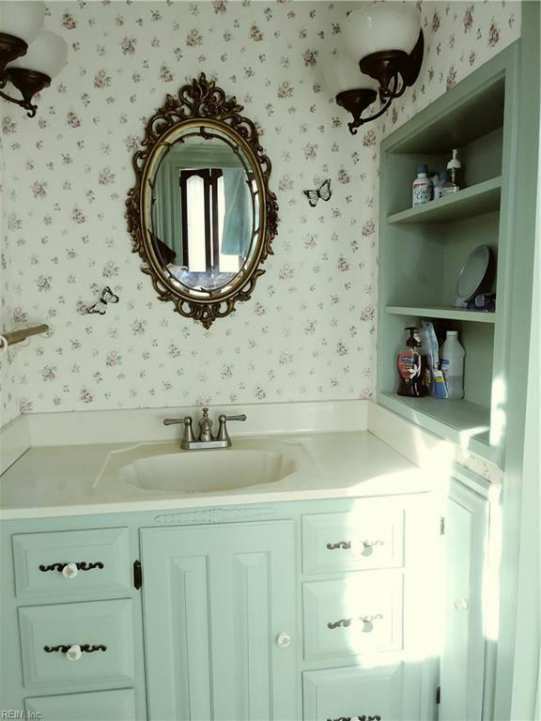 I really like this one as well, The wood and mantel are very beautiful , But what I really like is that TUB!!! 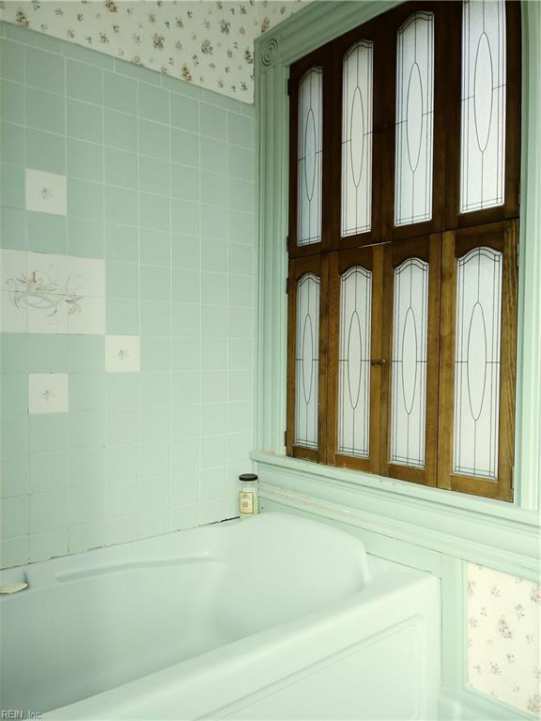 Wow Love the tile color but the tub is really cool. Do you mean the slanted spot where you can lean back? I could move in and not change a thing. 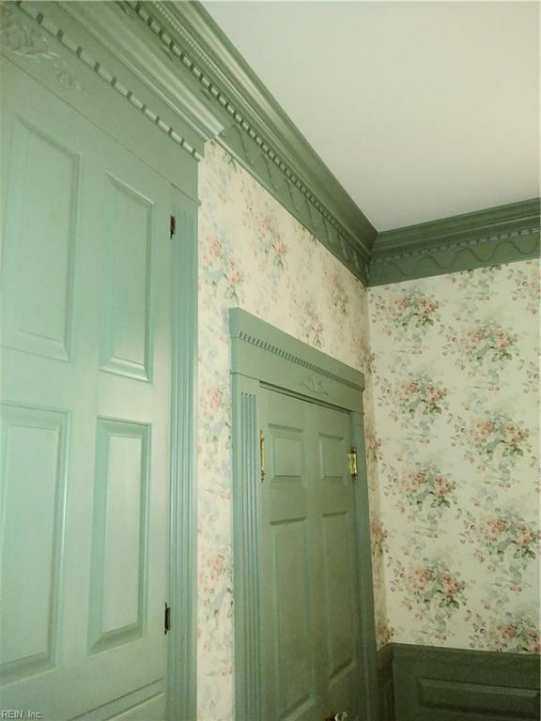 Usually don’t like the painted woodwork, but somehow it all works in this house. 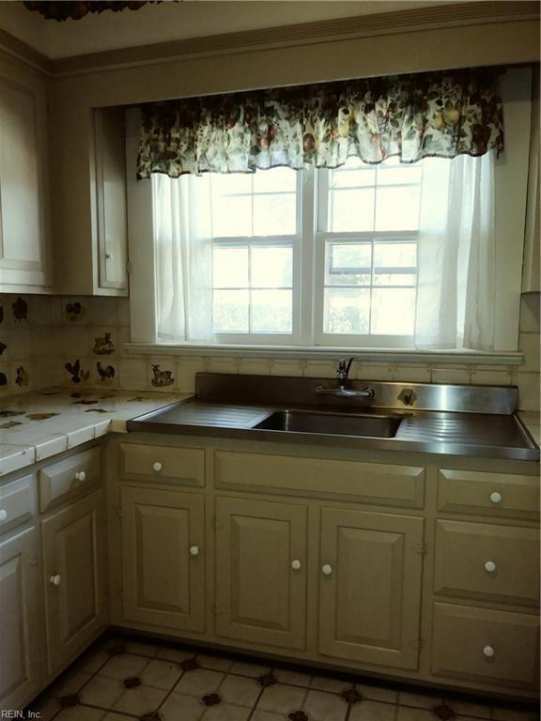 I might have to change the tile on the counter tops eventually, but that is the only thing that is iffy. Ha! 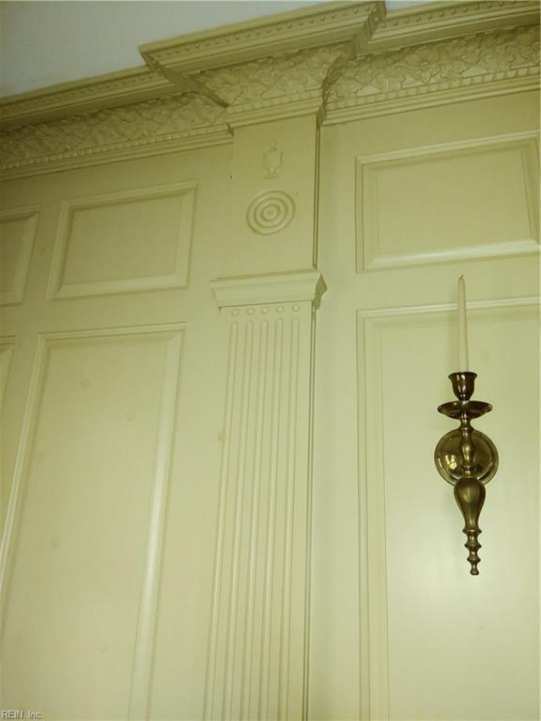 I thought it was just my own lack of knowledge of house dates and styles, but I too was surprised by the interior. It is quite lovely, so many great details in each room. 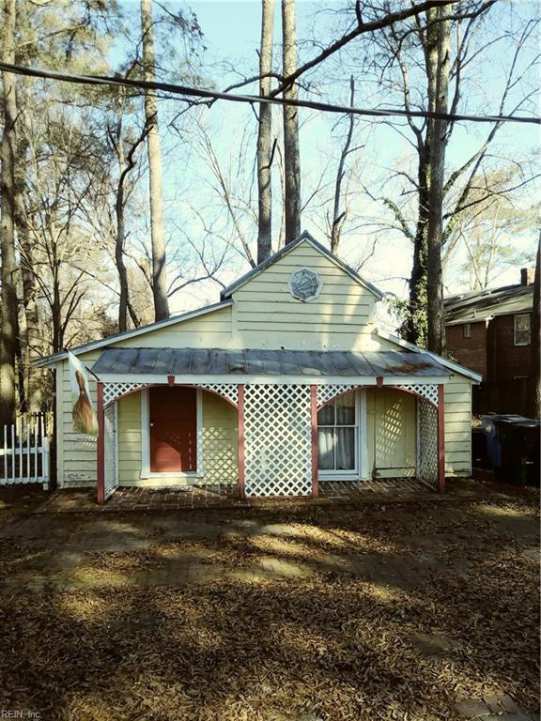 Really move in ready as far as I am concerned! 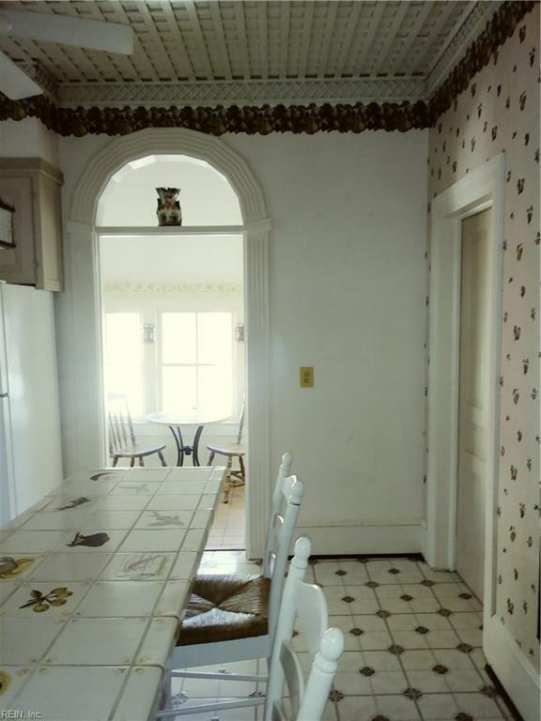 While the interior *is* lovely, it’s not the kind of decor that really draws me in. 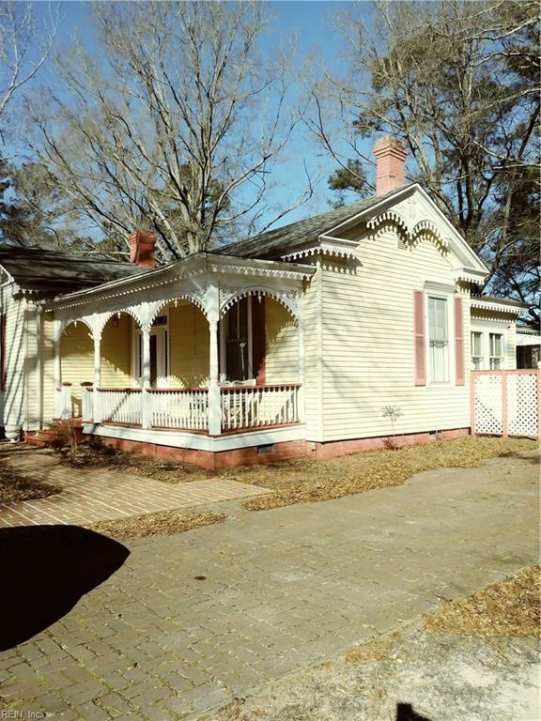 On the other hand, I love the exterior—particularly the trim and the porch swing and the cute little attic window. 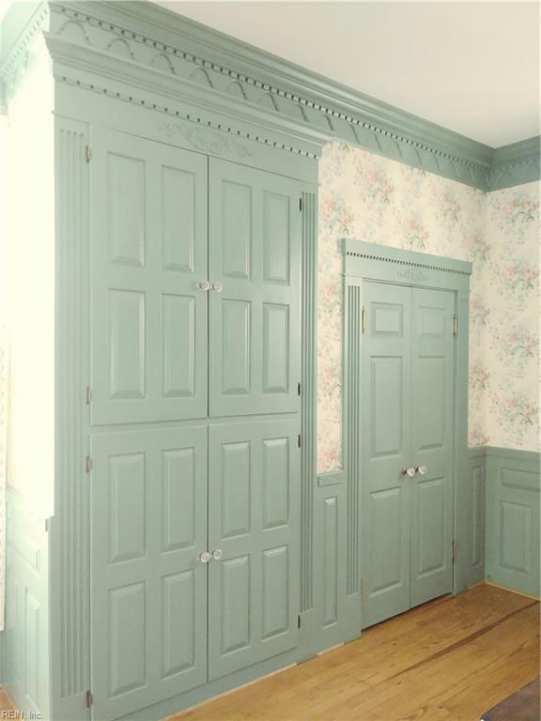 The painted interior wood work is really well done because the color fits great with all of the rest. 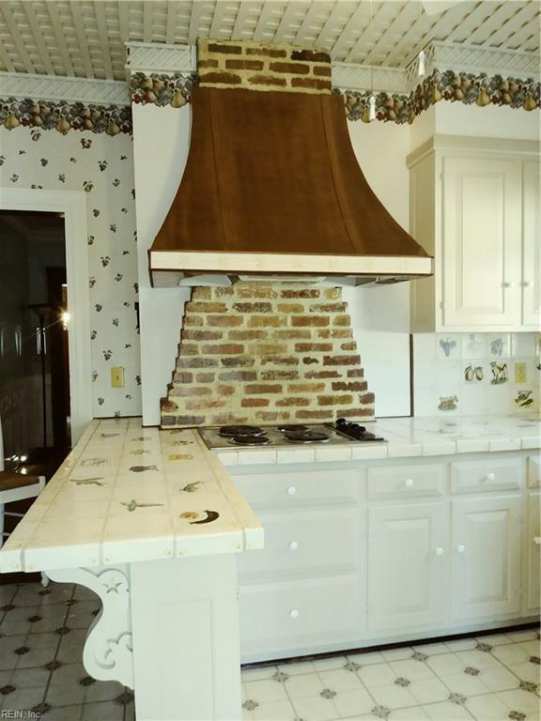 Lose the goofy red brick in the kitchen, and it is perfect — for me. 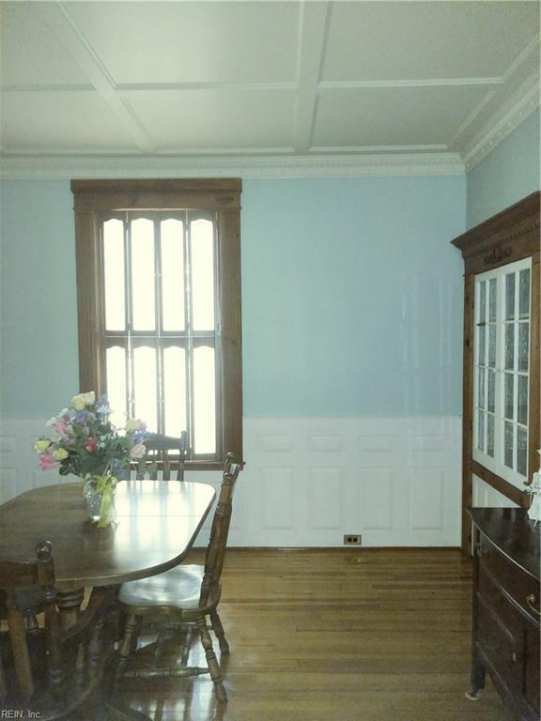 And looking at the photos again, I think this house was heavily remodeled inside and out by someone for a specific look. The wood work inside is too crisp. The tile in the bathroom looks like the sheet kind you can buy these days. 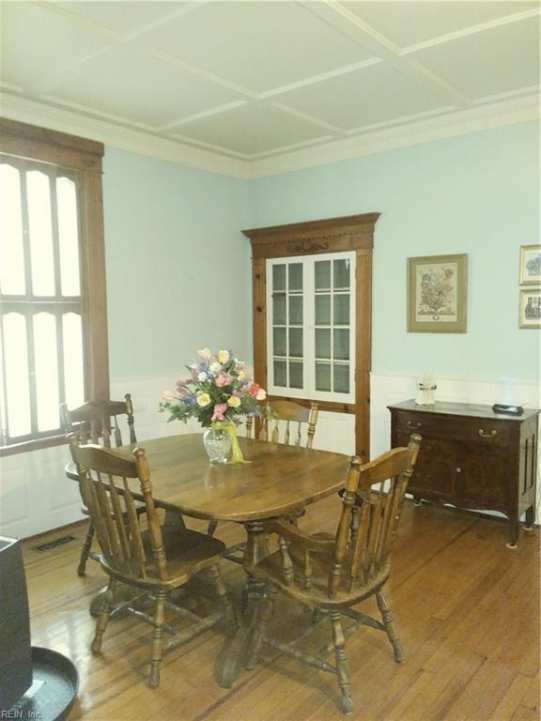 It is a wonderful home and the price is right but it feels like someone’s dream recreation. The woodwork and colors are to die for!